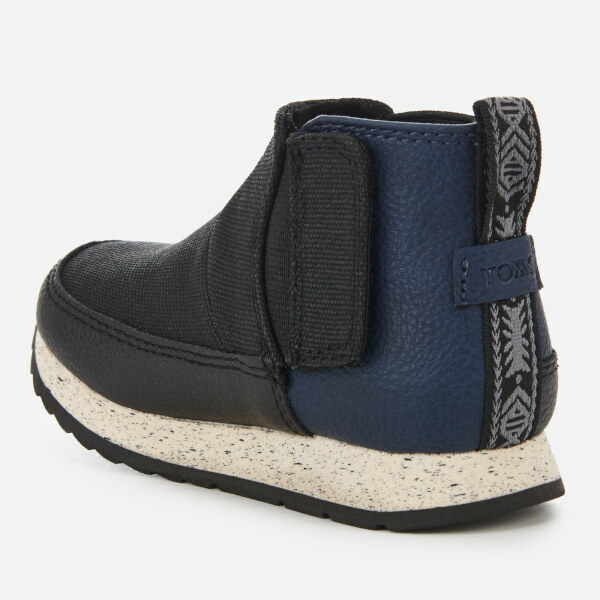 Toddlers' high top trainers from TOMS. 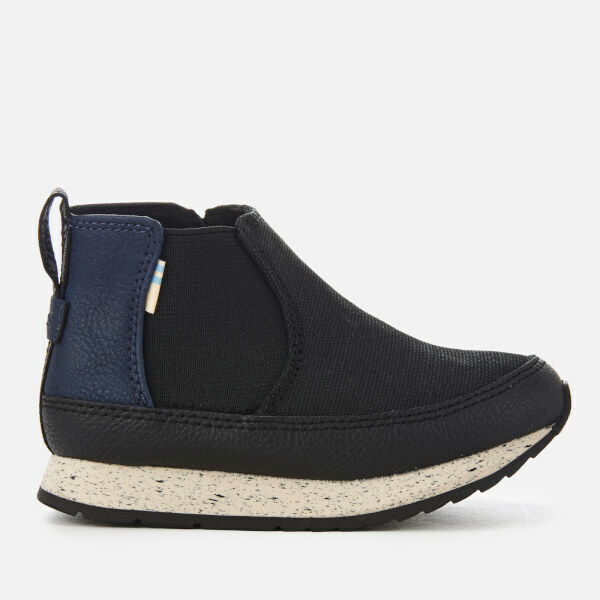 Designed with a retro jogger silhouette, the 'Sydney' vegan sneakers feature moccasin-like details and combine canvas and faux leather to form a sleek, high top upper. 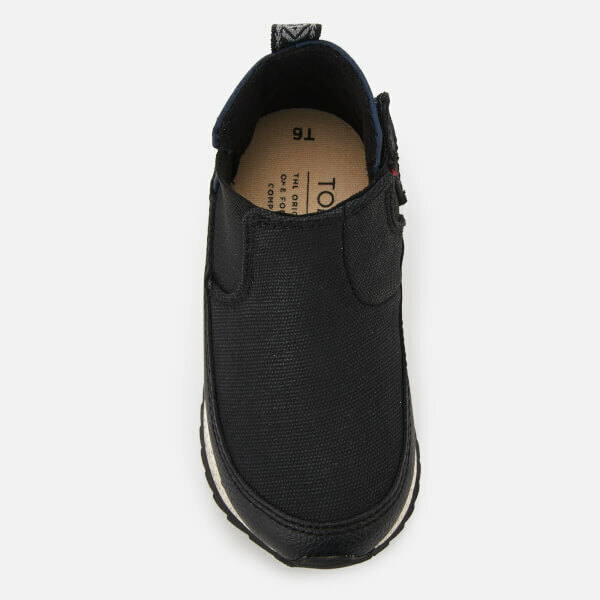 For easy dressing, the trainers have a Velcro fastening to the inside foot and elastic gore detail to the outer foot. Set upon a retro rubber outsole with speckled finish. 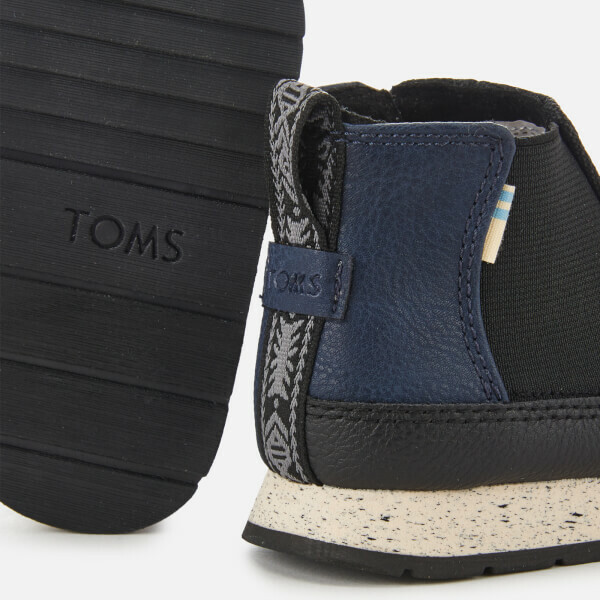 A fabric pull loop and TOMS logo at the heel complete the design.